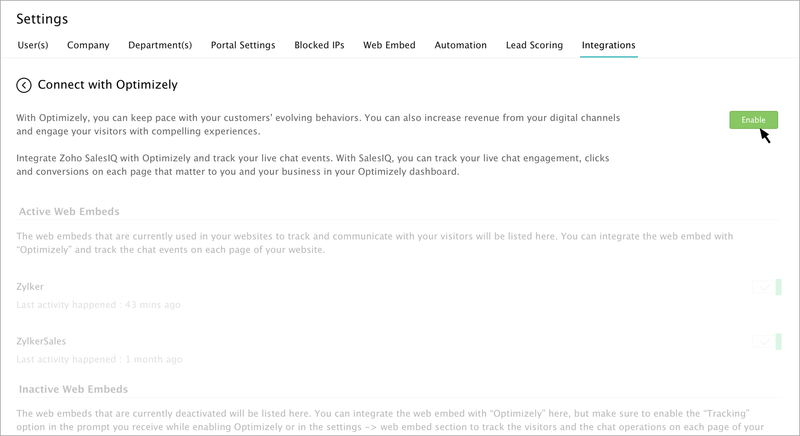 Integrate Zoho SalesIQ with Optimizely and track your live chat events. Increase visitor engagement and conversions with Zoho SalesIQ today. Track your live chat engagement, clicks and conversions, that matters to you and your business. Once you have pasted the Zoho SalesIQ script into your webpages, the script will automatically detect the Optimizely code available in your website. 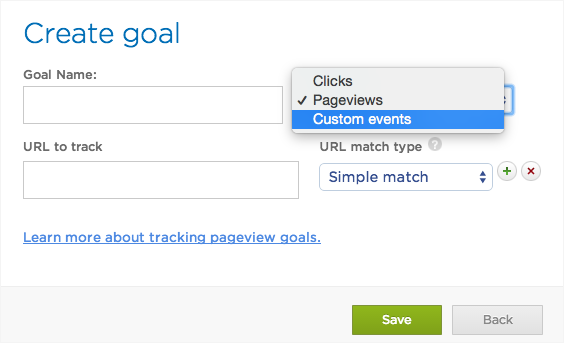 If everything is in place, Zoho SalesIQ will start reporting events to your Optimizely automatically. All you have do is enable Optimizely in the embed settings. Once you have pasted the Zoho SalesIQ code into your website follow the below instruction to enable the integration and to push your live chat events data to your Optimizely dashboard. Go to Settings -> Integration tab, select Optimizely. 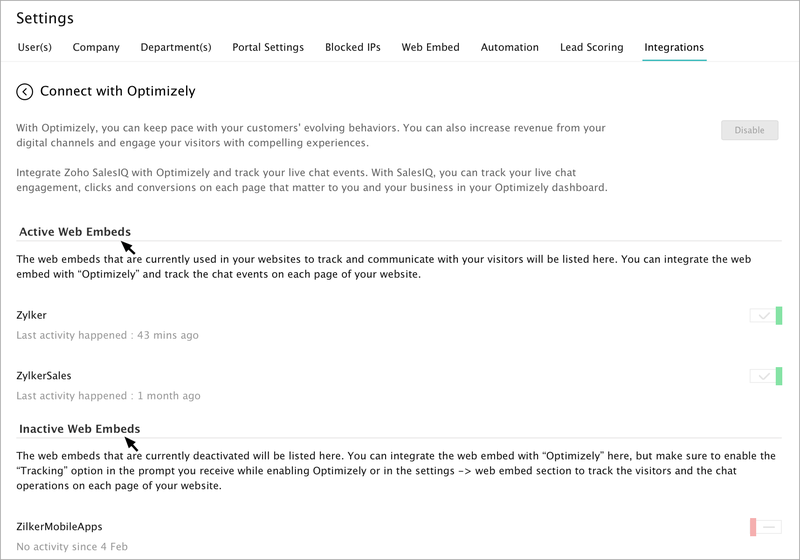 In the Connect with Optimizely page, click Enable button. 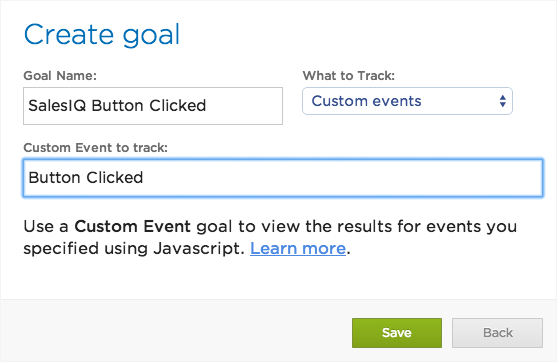 What are the events tracked in Optimizely? How to track events in Optimizely Experiments? 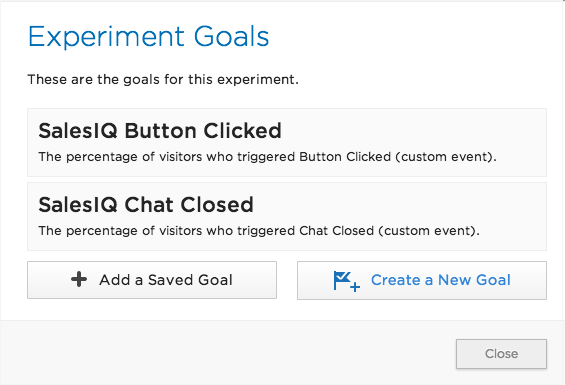 To record the Zoho SalesIQ events into Optimizely experiments you have create separate goals. Click on the goals and click on “Create New Goals”. Select “Custom events “ from the list. Provide a goal name and the event name from the list provided above. You have to create separate goals for all the events from Zoho SalesIQ to experiment it in Optimizely.